Montgomery, Sandra L., “Sandy”, 76, of Miamisburg, passed away on November 28, 2017. She was born October 8, 1941 in Sabina, Ohio to the late Roy Glen and Nancy Maye (Anderson) Arrasmith. Sandy was the youngest of seven children all preceding her in death; Pauline, Phyllis, Alberta, James, June and Marcella. She grew up with humble roots, her father a railroad worker and her mother a house wife. Life was not always easy for her, at age 16 her father passed away suddenly. 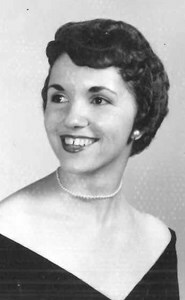 As a result, Sandy quit high school and moved with her mother to Cincinnati, Ohio. There in Cincinnati is where she would meet her future husband, a young man working in his father’s grocery store. This encounter would result in 5 years of courtship and 56 years of marriage. She leaves behind the love of her life, Kenneth Montgomery, her 5 children, which she would say were her greatest accomplishment, Kenneth (Mary Beth) Montgomery, Daniel (Peggy) Montgomery, Ronald (Deanna) Montgomery, Jeff (Lisa) Montgomery, Tina (Jason) Garland; a loving memaw to Joseph (Katie) Montgomery, Daniel Shively, Cameron (Makayla) Harris, Collin (Tara) Harris, Emily Montgomery, Jessica Winstel, Gillian Garland, Brandon Montgomery, Veronica Montgomery, Chase Winstel, Andrew Garland; loving great-memaw to Olivia and Elyse Montgomery, Syen, Izzabella and Arial Harris. She was an amazing and loving mother and memaw. She was a wonderful aunt to many nieces and nephews and a cherished cousin to many. She was a dear and faithful friend to all that knew her. She loved a good game of euchre, made the best mashed potatoes and gravy and had a smile that could light up a room. She had the face of an angel, the heart of a saint, and the fight of a warrior. She was a wife, a mom, a mother in-law, a memaw, an aunt, a cousin and a friend but most of all she was Sandy. Special thanks to Dr. Thomas Reid and his staff for their kindness and all the staff and nurses at Kettering Medical Center 3 South for their compassion. In lieu of flowers, donations may be made to the American Cancer Society or St. Judes Children’s Hospital. Memorial mass will be held December 9, 2017 at 10 am at St. Henry Parish 6696 N. Springboro Pike, Dayton, Oh 45449.